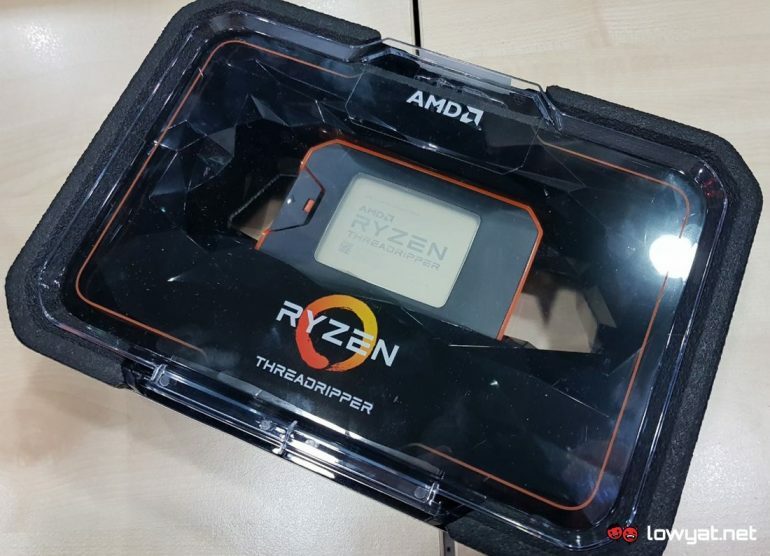 While AMD might have officially revealed the pricing of 2nd Gen Ryzen Threadripper processors to the world recently, similar information for the Malaysian market was not provided by the company. That has changed just moments ago, as we now have the obtained the pricing of the chips in Malaysia. However, such info only available for two chips at the moment. Specifically, the Ryzen Threadripper 2990WX which will go for RM 7999 while the Ryzen Threadripper 2950X will be made available for RM 3899. According to previous announcement by AMD, the general global release date for Ryzen Threadripper 2990WX is on 13 August while the Ryzen Threadripper 2950X will follow suit on 31 August. For now, we still waiting for further updates from the company regarding the Malaysian roll out date for both chips.